A beautiful smile is so important and many people are looking for ways they can improve their smile. A gorgeous smile can make you look younger and can even make a great first impression. In fact, many people find that being able to flash a great smile helps to improve their self-esteem. If you are feeling self-conscious about your own smile, your cosmetic dentist Melbourne clinic can help. With the great technological advancements in the cosmetic dentistry field, your smile can be completely made over. Various cosmetic procedures can be used to help improve your smiles appearance, giving you the smile that you have always wanted. Your cosmetic dentist Melbourne clinic has the ability to offer you a variety of different cosmetic procedures that will create a more beautiful smile. The following are just a few of the procedures that are offered at Healthy Smiles, depending on your specific treatment plan. One of the most popular procedures offered at the clinic is tooth whitening. This popular treatment helps to eliminate stains and tooth discolorations, providing whiter, more beautiful teeth. Many people find that in-office whitening offers fast, professional results that make their smile look younger. When tooth loss occurs, a lost tooth can go far beyond being a cosmetic problem. It can cause other dental problems as well, but dental implants can solve those problems, offering artificial tooth replacements that are durable, strong and effective. Veneers are designed to cover teeth, improving the tooth’s appearance by covering problems like chips, spacing, cracks and worn enamel. This cosmetic dentistry procedure is designed to help deal with gaps between teeth, crooked teeth and teeth that have been chipped. It is non-invasive and painless. Of course, these are just a few of the cosmetic procedures that are performed at your friendly cosmetic dentist Melbourne clinic. Other options may be available, depending on the specific plan your dentist has for your smile makeover. 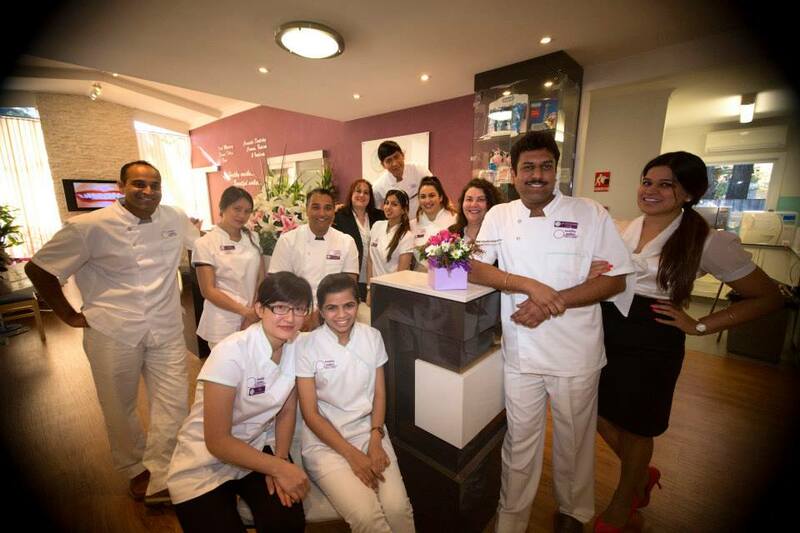 At Healthy Smiles, our professionals work with each patient individually, coming up with unique treatment plans that will help you to enjoy the beautiful smile you have always wanted. In many cases, your plan will involve several procedures, designed to create a smile that leaves you looking, young, healthy and beautiful.